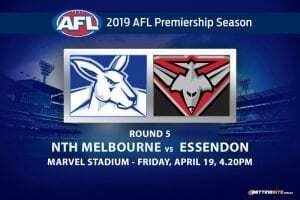 Melbourne Demons: $21.00 – Is the 2019 premiership dream already over for the Demons? 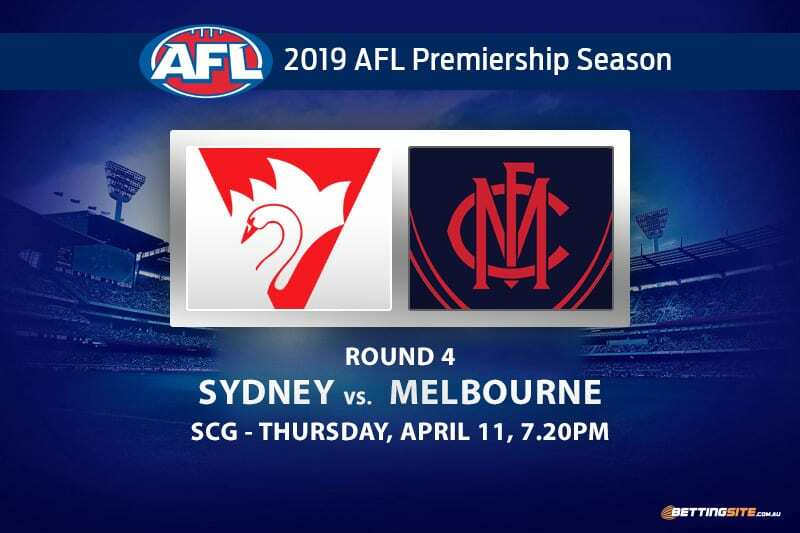 Two teams with finals aspirations will battle it out at the SCG on Thursday night with more than just four points on the line. It may be early in the season, but the 1-2 Sydney Swans and 0-3 Melbourne Demons will be fighting with one eye on September. After blowing three winnable games, the Demons find themselves at the bottom of the AFL ladder, with only Carlton and North Melbourne also winless in 2019. 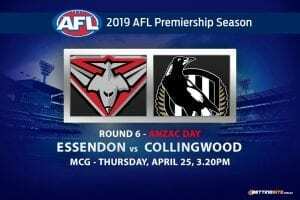 The Swans entered their opening two matches as favourites, but failed to win both, putting unnecessary pressure on last week’s clash with the Blues, which the Swans eventually won. 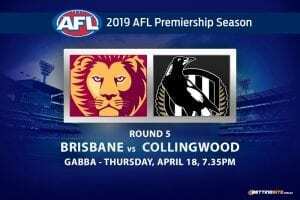 Both sides were expected to be finals-bound this season — a goal that could become unattainable for the loser. Although they won last week, the Swans were not lucky enough to get through unscathed. Will Hayward went down with a broken jaw in the second half of the match, ruling him out for the next few weeks. The Demons also have a few injuries of their own, but the freshly-wounded Tom McDonald could miss this match with an ankle sprain, which would shake up the already-troubled forward line for the Demons. Both sides have incredible midfielders, but the forward lines are not as functional as they should be. This is our collection of tips for this week’s Thursday night footy blockbuster. It took until round three for the Swans to kick more than a goal in the first quarter, and they did it in style with six majors against the Blues. 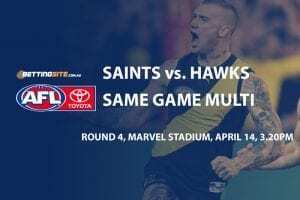 This week when the Demons’ undermanned defence tries to stop Lance Franklin and Sam Reid, the result will be overwhelming in Sydney’s favour. Melbourne concede more goals per inside 50 entr than any other side, which will be why the Swans are first to 25-points. 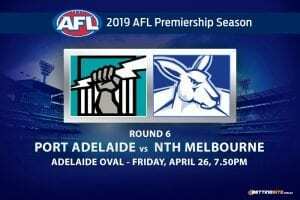 First team to 6 behinds – Melbourne Demons @ $2.02 – Is there a bonus available for this bet? Of all the 18 teams, it’s the Demons who are last in a very important statistic — effective inside 50s. They are the worst team when it comes to converting forward entries to goals and we expect that trend to continue on Thursday night. Before he began his career as a running half back, Jones was an inside midfielder for the Dandenong Stingrays in underage football. Last week, the Swans put Callum Mills at half back and sent Jones into the guts, which proved to be a very rewarding decision as he collected 31-disposals and six coaches’ votes. If the Swans make the same choice again this week, Jones will have another great game in the midfield. Only 16 players in the league have averaged 30-diposals over the first three weeks, one of those players being Angus Brayshaw. It’s common knowledge that Angus is a bull in the midfield and can deliver on both feet, but what surprises many onlookers is his consistency and work ethic. While teammate Clayton Oliver attracts the tag, we expect Brayshaw to slip through the guard and have another classy game. Ever since the SCG was first used as an AFL venue, there is one trend that has never changed — low scoring. Be it because of the smaller, tighter confines, playing surface or dew, the SCG has often been a reliable ‘under’ equation for total score punters. For two teams that have already shown issues with scoring in 2019, we expect that trend to continue. Line Betting: Sydney Swans -5.5 @ $1.90 – Which bookie offers the best Sydney odds? Chalk up another loss for the Demons as Tom McDonald will not be 100% fit and the entire team needs another preseason. 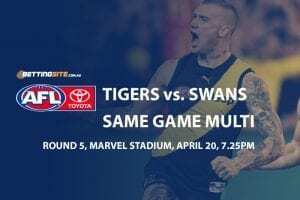 Expect Franklin to kick at least six when the Swans win this Thursday.